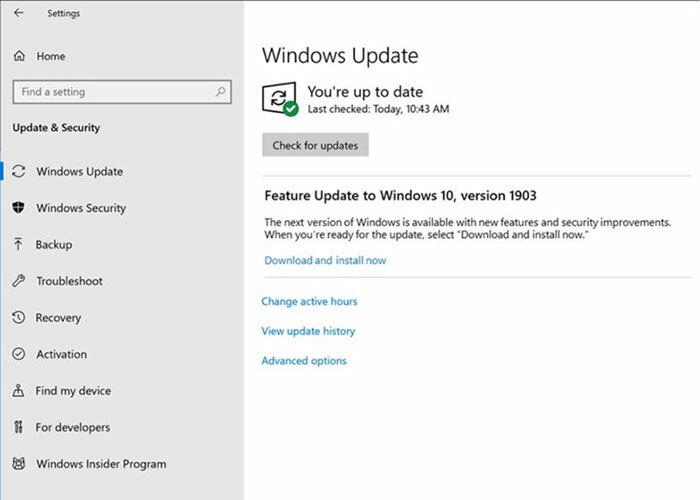 Microsoft is making some changes to the way that updates are delivered with the arrival of Windows 10 May 2019 Update. The corporation is taking a more cautious approach itself, and allowing end users to do the same, in most cases. When the 'release preview' phase is over and Microsoft starts to roll out to ordinary Windows 10 users, it will be less pushy than usual. 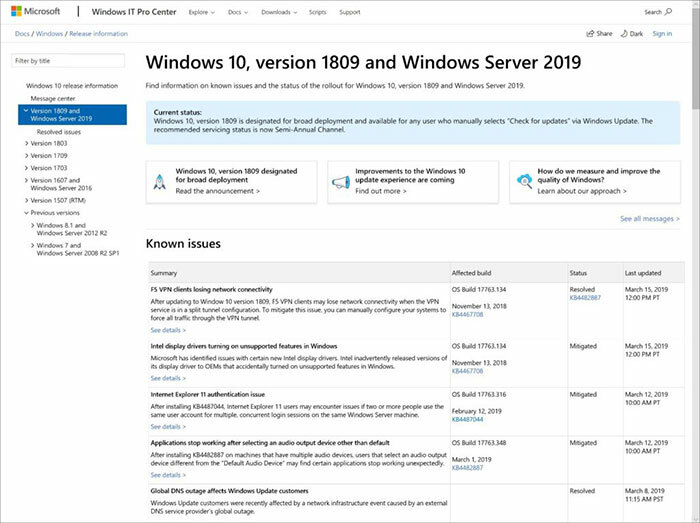 "Beginning with the Windows 10 May 2019 Update, users will be more in control of initiating the feature OS update," writes CVP of Windows, Mike Fortin on the Windows Blog. "We will provide notification that an update is available and recommended based on our data, but it will be largely up to the user to initiate when the update occurs." There are limits to the proposed flexibility though. The updates can be paused for up to 35 days by the user (seven days at a time, up to five times). However, if the Windows 10 device is at, or will soon reach, end of service, Windows Update will auto update to keep your machine supported and receiving the monthly updates and patches, for example. If you value community feedback on OS updates, Microsoft thinks the new public dashboard will appeal. Following its principle of transparency it is publishing a new Windows release health dashboard later this month, "that will empower users with near real-time information on the current rollout status and known issues (open and resolved) across both feature and monthly updates". It builds upon the current Windows 10 Update History page hosted here. Such a tool could have pre-warned people who went on to suffer from data loss, following the Windows 10 October 2018 Update. Windows 10 May 2019 Update doesn't appear to provide a lot of new features. Probably the biggest new feature will be the new Sandbox, but Microsoft is also introducing a new light theme, Kaomoji support, and will separate Cortana and Windows search. I love the sound of this feature…. Well, even I will concede that that is a significant step in the right direction. One caveat - they say, delay by 7 days, up to 5 times. That's probably enough, even for me, provided you get asked at the expiration of a 7-day period (go ahead with update, or defer again). Given that, it's a good balance between not messing users about, yet getting the less tech-aware users updated and protected. At the same time it gives people like me a good, long chance to pick a suitable time AND to have waited to see how it went down, and what else it broke. Maybe MS are finally starting to listen. and what else it broke. My PC is my income, I can't have it broken. Anyone concerned about this should set their internet connection to “metered”, so that the update will not automatically download and check with the publishers of their games before allowing the update in. Auto updates, for me, have always had too main issues. That one, and ….. "NOOOO ….. not now, you stupid bleeping machine, I've got an urgent deadline/meeting/whatever. Which is why I've always said it's MY machine, not Microsofts, and I get to decide what gets updated, and when. But this update addresses a large part of why I feel that way. It takes some of their arrogance and presumption out of it.